While more and more Australians are using LinkedIn, some professionals may still have uncertainty of the relevance of social media to their business. But LinkedIn has proven to be more than just a social media networking service, it is also a great business tool. In 2014 Australia ranked third among the countries with the highest penetration of LinkedIn usage. America tops the list followed by The Netherlands. Many users have found employees and employers through LinkedIn, as well as suppliers, contracts and business associations. It is an advance database to find people that can be difficult to locate, especially if you have lost touch. Some of the best employees can be found on LinkedIn, which has become a preferred avenue for hiring professionals. It is highly likely the best people for your business are already employed and won’t be responding to your job ad on Seek. For an employer, LinkedIn is like a cabinet filled with resumes (of the members’ profiles). 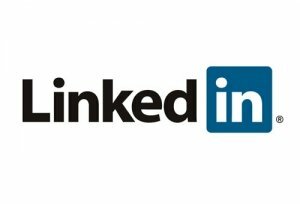 Authenticity of profiles can easily be verified because of one’s connections on LinkedIn. It is an invaluable tool to seeking and hiring talent. It also makes for a great tool to run searches on your competitors and their connections. I strongly recommend this application of LinkedIn – keeping your friends close and your ‘competitors’ closer. A business can also build its brand through promotion of products and services, free of charge, through this networking site. Building your personal profile and network on LinkedIn will help you develop personal and business credibility. Especially if you receive work-based and professional recommendations from your connections.